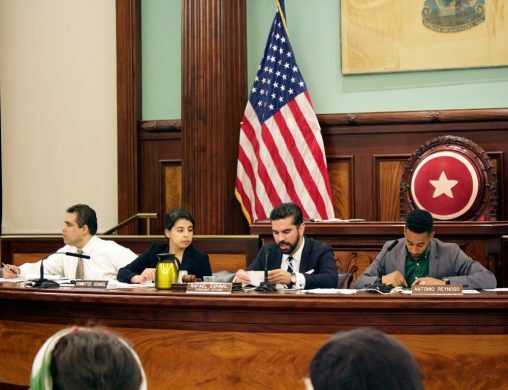 Back in May, City Council member Rafael Espinal announced a plan to sponsor legislation that would create an “Office of Nightlife” and “Nightlife Advisory Board.” After a lengthy hearing and initial City Council approval, the latest version of the bill passed the council with a strong majority later today. This office will serve as liaison between the nightlife industry, NYC residents, and the government, intended to be equipped with knowledge of nightlife trends and happenings, as well as familiarity with the host of requirements to legally operate a nightlife space in the city. Thus, the office will be able to advise the government on what is best for business and small and large nightlife spaces alike, while also being able to work directly with spaces on navigating the often-convoluted world of licenses, permits, and other logistical matters. The Office of Nightlife bill has frequently been associated with another Espinal-sponsored piece of legislation, which seeks to fully repeal the current requirement of a cabaret license for establishments to legally allow dancing. Critics of the Prohibition-era bill say it has racist origins meant to outlaw interracial mingling and remains highly difficult to obtain; reportedly only 97 are currently in effect. This means countless bars, clubs, DIY spaces, and more are constantly vulnerable to fines, raids, or other legal actions if the NYPD, FDNY, or the interagency MARCH force feels compelled to drop in one night. Several groups have banded together to advocate for both the cabaret law repeal and the Office of Nightlife, including the NYC Artist Coalition, the Dance Liberation Network, and the Dance Parade, and local business owners like Secret Project Robot owner Rachel Nelson. A source close to the matter tells B+B that the passing of the Office of Nightlife and Nightlife Advisory Board bodes very well for the cabaret law repeal, which should ease the concerns of those who say the Nightlife Office’s efforts will be in vain if establishments offering dancing remain at risk. Support from the City Council has also been strong. In addition to Espinal– who represents Bushwick, East New York, Brownsville, and Cypress Hills– the Office of Nightlife bill currently has eight other sponsors from every borough but Staten Island, including Antonio Reynoso of District 34, Corey Johnson of District 3, and Karen Koslowitz of District 29, all of whom were present at the hearing in June. The first version of the bill, Intro 1648-2017, passed on August 9 with overwhelming support. Rosie Mendez of Manhattan’s District 2 was the only one present to abstain from this voting, and Joseph C. Borelli, a Republican council member representing parts of Staten Island, was the only one to vote no. Neither responded to a request for comment. With the Office of Nightlife bill now passed, Mayor Bill De Blasio has 30 days to sign it into law, and it will go into effect two months after that. Those two months will reportedly be used to appoint the Nightlife Advisory Board, with eight members chosen by the Council and four by the mayor, with operations expected to get going by early December. According to the bill’s description, the advisory board must have policy recommendations to the Mayor and related agencies as well as an annual report of activities ready 18 months after the bill goes into effect. Update, 3:50pm: The original version of this post, which stated that the bill was expected to pass, has been revised to reflect that the bill has now passed.